You’re probably familiar with the term coined by Homeland Security, “if you see something, say something.” Well, as a voice for Boulder’s economic security, the time has come for the Boulder Chamber to speak up about what we’re seeing. There are real threats to our local economy, made evident by a growing list of city council policies, process steps and statements that suggest a lack of attention, misunderstanding or outright antagonism toward the economic engine that sustains the quality of life in our community. For those who read this paper or take the time to watch our city council in action, I’m sure you’re already aware of at least two recent incidents that are cause for alarm. Unfortunately, the pronounced “fatigue” with tourists and the emergency action taken to shut down housing projects across two city planning zones are just the latest examples on a quickly growing list with compounding impacts. The city of Boulder reports this month that sales tax income, which comprises 76 percent of our total revenue, has increased, year-to-date, by 1.7 percent in 2018. Despite this seemingly positive report, and just as the odd chilly day in summer doesn’t refute reams of global warming science, there are indications of troubling conditions. We only have to look at the evidence of double-digit tax revenue increases in some surrounding communities and hear economic experts project a continued flattening trend in our sales tax revenue (because Boulder is now “27 square miles surrounded by competition”) to know the time to act, and reverse our current course, is now. Instead, in the face of staff recommendations and the counsel of their own hired consultants, city council has taken steps that exacerbate our current predicament. Take, for instance, the recent move to increase linkage fees on commercial development to as high as $30 per square foot. City consultants and staff noted, “If the linkage fee is increased beyond $15 per sq. ft. for office, developers may delay or abandon future commercial projects.” This isn’t just about big new buildings: These linkage fees will increase development costs for new small business offices and retail spaces, leading to rising rents that making it even harder for many of Boulder’s unique shops and restaurants to survive. Let’s talk about tourism. Boulder Chamber business support partners, the Downtown Boulder Partnership and the Boulder Convention and Visitors Bureau, remind us that tourist spending amounts to 30-50 percent of annual sales for many downtown retailers and restaurants. 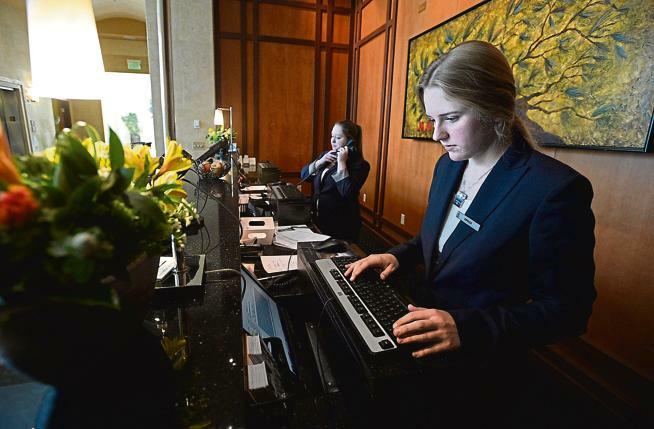 They also note that accommodations tax collections from local hotels have been a valuable bright spot in the city of Boulder’s revenue picture, rising 10.98 percent, year-to-date. While we certainly should be thoughtful about addressing any inconveniences that local events create, I find that most of us take pride in the exciting activities our town attracts. Regardless, at a time when there’s talk of budget shortfalls for our libraries and funding challenges for median maintenance, we need to continue fostering tourism and the associated economic benefits, not trying to suppress it. And then there’s the approach to housing — both the mix of city process issues and city council policies — that continues to confound advocates and developers alike. Providing more housing in our community for the broad cross-section of our workforce has important environmental sustainability and social diversity benefits. It also is imperative to the survival of Boulder businesses, both large and small. I’ve heard from many city council members that we share this priority, yet actions speak louder than words. Planning and permit approval periods that extend multiple years (compounded still further by “emergency” ordinances that fly in the face of the city’s much heralded new public process commitments) add huge expenses to housing construction costs. A building height moratorium that runs through 2020 forces developers to forgo building a fourth floor of new housing and divide their enormous land costs across fewer units. All of this results in the higher housing costs that residents will bear. We can and do have very legitimate debates across Boulder regarding impacts associated with economic activity. The Boulder Chamber welcomes open dialogue regarding the best approaches to identified concerns, all with an eye to sustaining our high quality of life and balancing shared environmental and social values. However, in the words of the Homeland Security Department, when we see “signs of suspicious activity,” we need to say something.